Dyed with the yellowing tones of three decades, this book, created by Jonathan Monk, edited by Dan Rees and just published by Tramway, is a multi-layered scrapbook of ideas that takes as its framework the 1969 Blue Peter annual. Against this jolly backdrop, here portrayed as a faded relic, Monk affectionately throws a scattering of invitation cards to exhibitions and interventions by important male conceptual artists of the 60s, 70s and beyond. The association is in the time—in 1969, when pre-gaming children avidly tuned into the BP brand, Seth Siegelaub, the New York curator associated with names such as Robert Barry and Lawrence Weiner, organised a show that contained no objects at all. In 1972 Barry staged exhibitions which existed only on the invitation cards themselves—the galleries which hosted them being closed during the entire period. This clash of popular culture with high art is played out in production values that imitate the original children’s annual—shiny board covers, matt paper, low definition images. Monk conjures a seductive sense of nostalgia, a remix of ideas in this carry-out gallery. 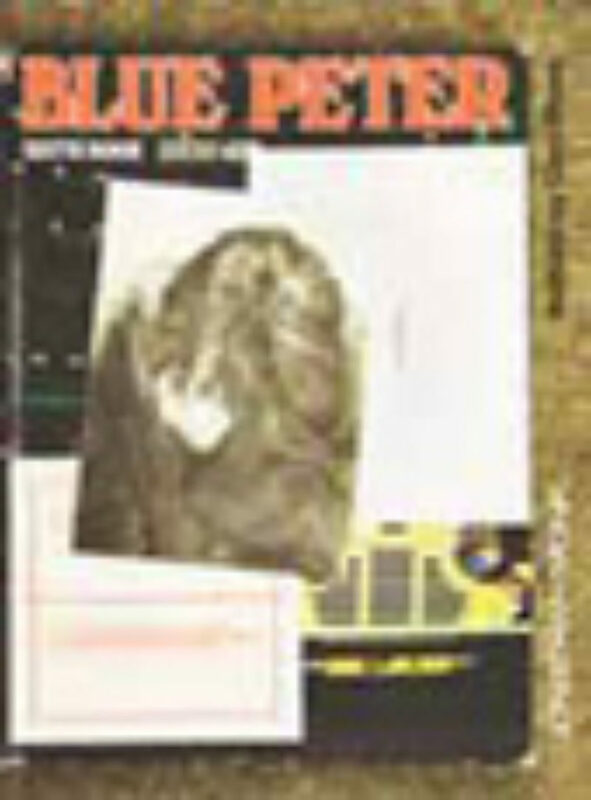 Blue Peter is buried in a layer of conceptual art heroes—Weiner, Barry, Sol LeWitt, Bruce Nauman among them, the invitations laying a trail that follows not just the recent history of the art, but also the narratives, biographies and geographies built into the artists’ lives. Pick a page at random. Find an invitation. There, for example, is one to an exhibition of work by Bas Jan Ader, April 15 until April 21, 1972. It is laid on top of John Noakes taking his celebrated sky-dive for the children’s programme. Ader was prone to adventure too, but was never seen again after embarking, in 1975, on an art investigation of the solitary nomad entitled ‘In Search of the Miraculous’, which involved sailing from America to Europe in a tiny boat. Monk makes his own journey more safely in this book, bringing together, with witty juxtaposition, unlimited possibilities for exploration and discovery in the information he offers anew.